We service galleries, businesses and individuals with only the finest custom framing using only the best materials and archival mounting techniques to ensure years of protection for your art. Whether you're an artist, interior decorator, gallery or hobbyist, we can find you the perfect frame for just about anything. Remember...We Come To You! 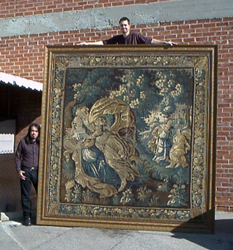 Preferred Picture Framing has been in business since 1991 serving customers throughout Southern California. We take great pride in all the projects we create and we want every customer to be a satisfied customer. With that in mind, you can be sure that you will get exactly what you are looking for at a price you can afford, along with the convenience of us coming to you. We put strong emphasis on customer service and treat everyone as if they were members of our family, which you now are! Our staff is PPFA certified in framing and we stand behind all our work. In addition, Preferred Picture Framing is an Industry Partner of ASID, (The American Society of Interior Designers). (ASID profile page). We provide a quality service and all work is done at our state of the art facility. We carry an extensive range of mouldings, from the simple to the exotic. We also offer free pick up and/or delivery to your home or office, and you can rest assured that your artwork will be treated with the utmost care. Our goal is to offer you the greatest selection and expert design assistance for your art and framing. We are committed to providing our customers with a rewarding, memorable and fun framing experience along with convenient service. 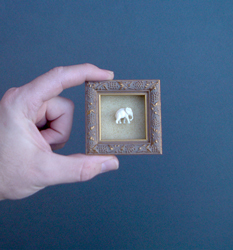 From the largest tapestry to the smallest artifact, we frame it all. We also provide expert art installation services from one piece to an entire art exhibition. For any art installation needs you may have, visit our art installation site at www.artinstallationexperts.com or give us a call anytime. Preferred Picture Framing is fully insured so you can rest assured knowing that your art and valuables are safe. Call us at (626) 676-9225 if you have any questions about framing your art. We are always available to offer ideas and suggestions for your personal items.